With the holiday season right in front of us Disney Springs, formerly known as Downtown Disney, in Orlando (Florida) is inviting guests to gaze skyward and make a special wish this holiday season. Disney Springs is a one-of-a-kind Disney experience, treating guests by day and night to great dining, shopping and entertainment amid beautiful open-air promenades, flowing springs and waterfront charm. Offering an air of sophisticated grace and design that harkens to Florida’s waterfront towns at the turn-of-the-century, Disney Springs is home to four distinct, outdoor neighborhoods: The Landing, Town Center, Marketplace and West Side. Disney Springs is part of Walt Disney World Resort, located in Lake Buena Vista, Florida. 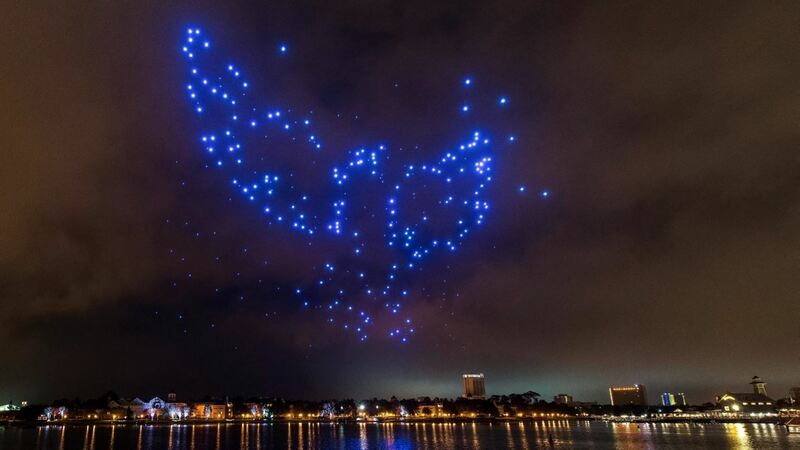 The first-of-its-kind light show features 300 drones performing a synchronized choreography to a specially orchestrated arrangement of classic holiday music. In the nostalgic and stirring medley, Disney Springs guests can listen for a few bars of classic Disney melodies. 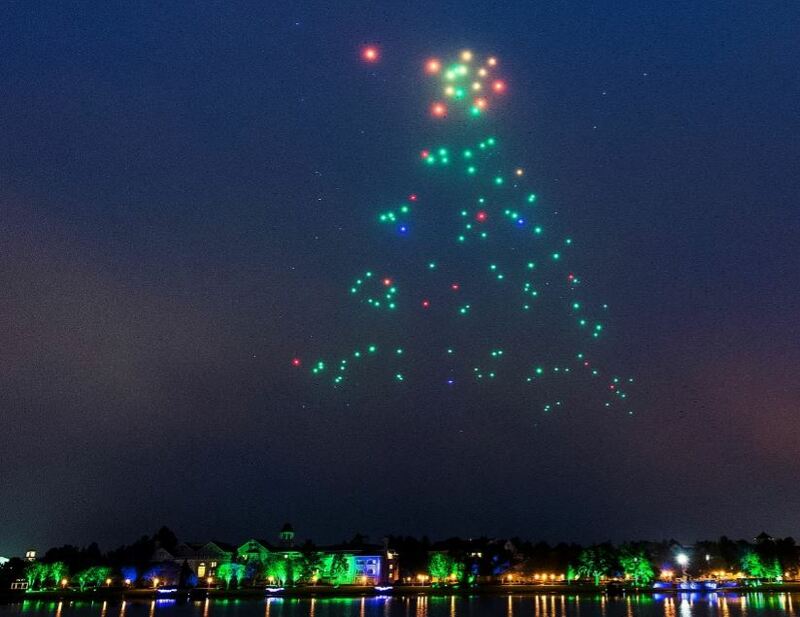 “Starbright Holidays” marks the first time 300 show drones have flown at one time. At 280g, the drone weighs less than a volleyball, and features built-in LED lights that can create more than four billion color combinations. “Starbright Holidays – An Intel Collaboration” runs Nov. 20 – Jan. 8 at 7:00 p.m. and 8:30 p.m.